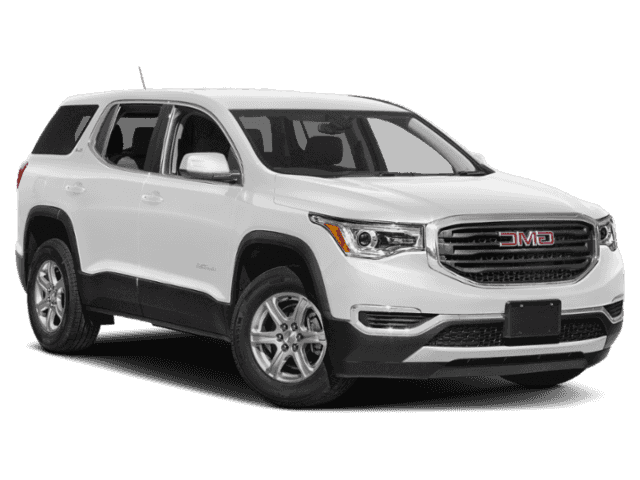 With Incentives like these-- this one is hard to pass up! 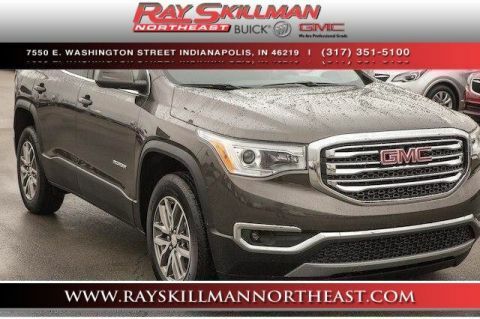 You will love driving this 2019GMCAcadia with Standard features include: Bluetooth, Remote power door locks, Power windows with 2 one-touch, Automatic Transmission, 4-wheel ABS brakes, Air conditioning with dual zone climate control, Rear air conditioning - With separate controls, Cruise control, Audio controls on steering wheel, Traction control - ABS and driveline, 193 hp horsepower, 2.5 liter inline 4 cylinder DOHC engine, Head airbags - Curtain 1st, 2nd and 3rd row, Multi-function remote - Trunk/hatch/door/tailgate, Passenger Airbag, Power heated mirrors, Tilt and telescopic steering wheel, 4 Doors, Front-wheel drive, Fuel economy EPA highway (mpg): 26 and EPA city (mpg): 21, Compass, External temperature display, Tachometer, Clock - In-radio display, Daytime running lights, Dusk sensing headlights, Intermittent window wipers, Keyless Ignition - Doors and push button start, Privacy/tinted glass, Rear spoiler - Lip, Rear wiper, Satellite communications - OnStar and GMC connected services capable, Speed-proportional power steering, Tire pressure monitoring system, Trip computer.... With our guaranteed approval program, you can drive home today in the style you deserve! 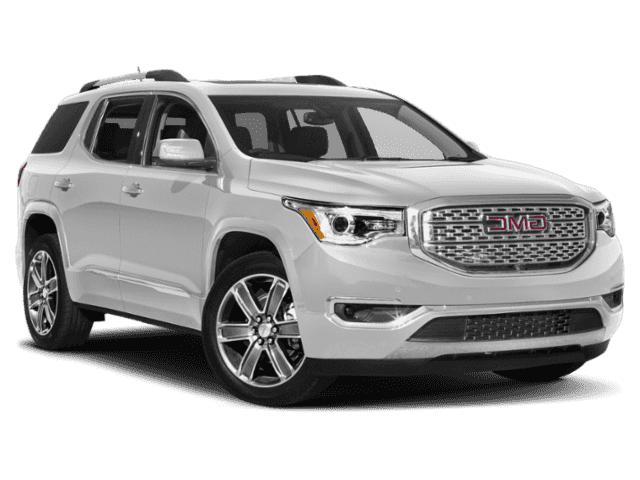 With Incentives like these-- this one is hard to pass up! 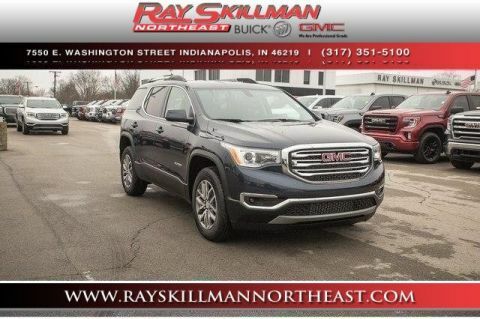 You will love driving this 2019GMCAcadia with Standard features include: Bluetooth, Remote power door locks, Power windows with 2 one-touch, Automatic Transmission, 4-wheel ABS brakes, Air conditioning with dual zone climate control, Rear air conditioning - With separate controls, Cruise control, Audio controls on steering wheel, Traction control - ABS and driveline, 2.5 liter inline 4 cylinder DOHC engine, Head airbags - Curtain 1st, 2nd and 3rd row, Multi-function remote - Trunk/hatch/door/tailgate, Passenger Airbag, Power heated mirrors, Tilt and telescopic steering wheel, 4 Doors, All-wheel drive, Fuel economy EPA highway (mpg): 25 and EPA city (mpg): 21, Compass, External temperature display, Tachometer, 4WD Type - Part and full-time, Clock - In-radio display, Intermittent window wipers, Keyless Ignition - Doors and push button start, Limited slip differential - Electro-mechanical, Overhead console - Mini with storage, Privacy/tinted glass, Rear spoiler - Lip, Rear wiper, Satellite communications - OnStar and GMC connected services capable, Speed-proportional power steering, Tire pressure monitoring system, Trip computer.... With our guaranteed approval program, you can drive home today in the style you deserve! 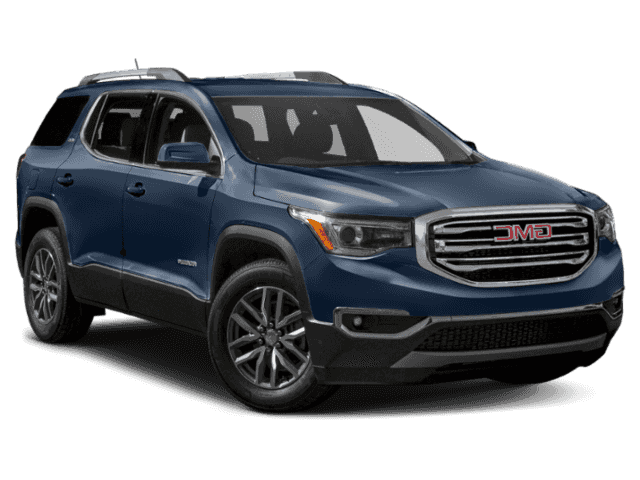 With Incentives like these-- this one is hard to pass up! 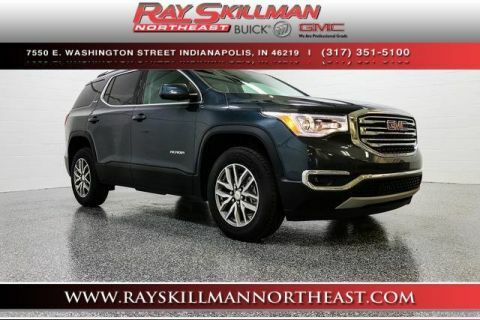 You will love driving this 2019GMCAcadia with Standard features include: Bluetooth, Remote power door locks, Power windows with 2 one-touch, Heated drivers seat, Automatic Transmission, 4-wheel ABS brakes, Air conditioning with dual zone climate control, Rear air conditioning - With separate controls, Cruise control, Audio controls on steering wheel, Traction control - ABS and driveline, 2.5 liter inline 4 cylinder DOHC engine, 8-way power adjustable drivers seat, Head airbags - Curtain 1st, 2nd and 3rd row, Heated passenger seat, Multi-function remote - Trunk/hatch/door/tailgate, remote engine start, Passenger Airbag, Power heated mirrors, Tilt and telescopic steering wheel, 4 Doors, Front-wheel drive, Fuel economy EPA highway (mpg): 26 and EPA city (mpg): 21, Front fog/driving lights, Compass, External temperature display, Tachometer, Clock - In-radio display, Interior air filtration, Knee airbags - Driver, Rear spoiler - Lip, Satellite communications - OnStar and GMC connected services capable, Stability control - With Anti-Roll, Transmission hill holder, Trip computer.... With our guaranteed approval program, you can drive home today in the style you deserve! 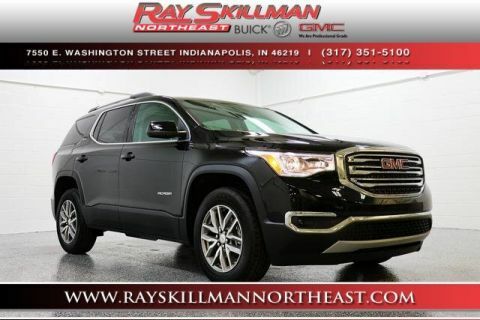 With Incentives like these-- this one is hard to pass up! 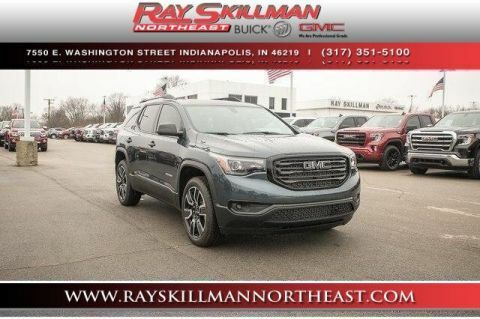 You will love driving this 2019GMCAcadia with Standard features include: Bluetooth, Remote power door locks, Power windows with 2 one-touch, Heated drivers seat, Automatic Transmission, 4-wheel ABS brakes, Air conditioning with dual zone climate control, Rear air conditioning - With separate controls, Cruise control, Audio controls on steering wheel, Traction control - ABS and driveline, 2.5 liter inline 4 cylinder DOHC engine, 8-way power adjustable drivers seat, Head airbags - Curtain 1st, 2nd and 3rd row, Heated passenger seat, Multi-function remote - Trunk/hatch/door/tailgate, remote engine start, Passenger Airbag, Power heated mirrors, Tilt and telescopic steering wheel, 4 Doors, Front-wheel drive, Fuel economy EPA highway (mpg): 26 and EPA city (mpg): 21, Front fog/driving lights, Compass, External temperature display, Tachometer, Climate controlled - Driver and passenger heated-cushion, driver and passenger heated-seatback, Clock - In-radio display, Daytime running lights, Dusk sensing headlights, Front seat type - Bucket, Rear heat - With separate controls, Reclining rear seats, Third row seats, Tire pressure monitoring system, Trip computer.... With our guaranteed approval program, you can drive home today in the style you deserve! 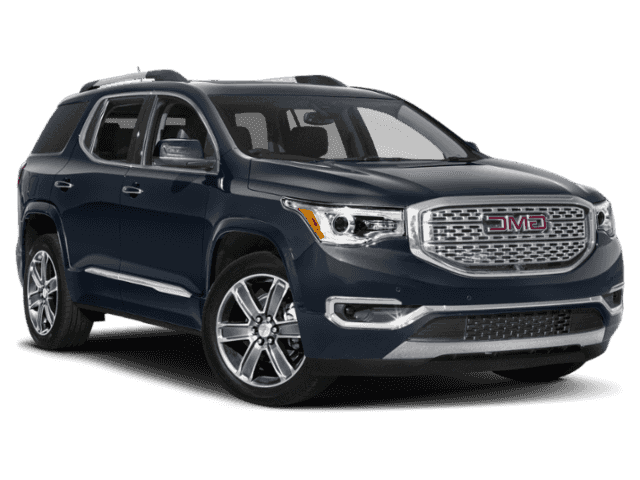 With Incentives like these-- this one is hard to pass up! 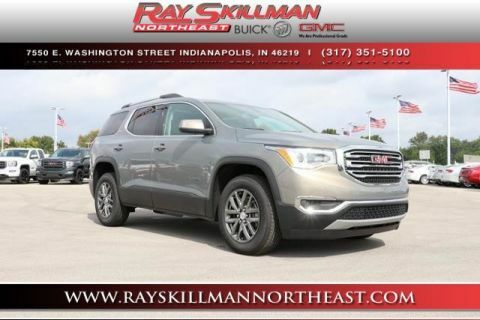 You will love driving this 2019GMCAcadia with Standard features include: Bluetooth, Remote power door locks, Power windows with 2 one-touch, Heated drivers seat, Automatic Transmission, 4-wheel ABS brakes, Air conditioning with dual zone climate control, Rear air conditioning - With separate controls, Cruise control, Audio controls on steering wheel, Traction control - ABS and driveline, 3.6 liter V6 DOHC engine, 8-way power adjustable drivers seat, Head airbags - Curtain 1st, 2nd and 3rd row, Heated passenger seat, Multi-function remote - Trunk/hatch/door/tailgate, remote engine start, Passenger Airbag, Power heated mirrors, Tilt and telescopic steering wheel, 4 Doors, Front-wheel drive, Fuel economy EPA highway (mpg): 25 and EPA city (mpg): 18, Front fog/driving lights, Compass, External temperature display, Tachometer, Clock - In-radio display, Interior air filtration, Knee airbags - Driver, Rear spoiler - Lip, Satellite communications - OnStar and GMC connected services capable, Stability control - With Anti-Roll, Transmission hill holder, Trip computer.... With our guaranteed approval program, you can drive home today in the style you deserve! 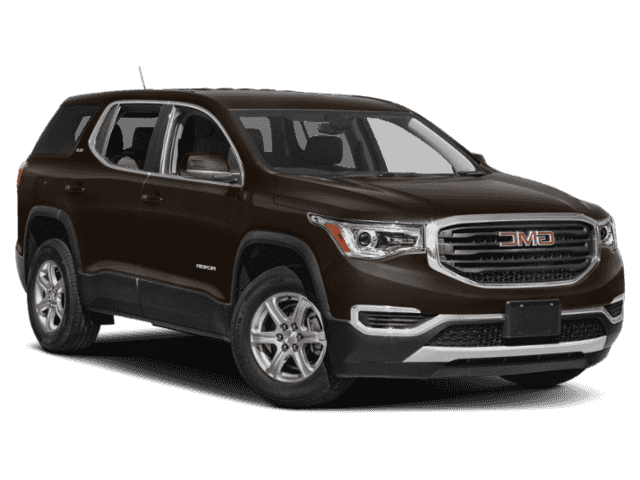 With Incentives like these-- this one is hard to pass up! 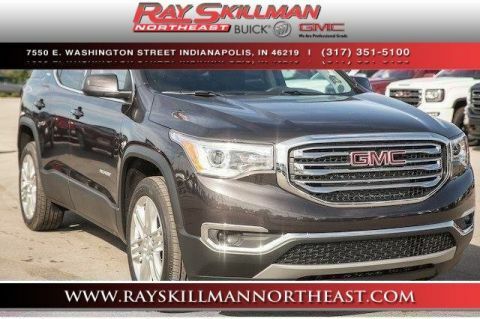 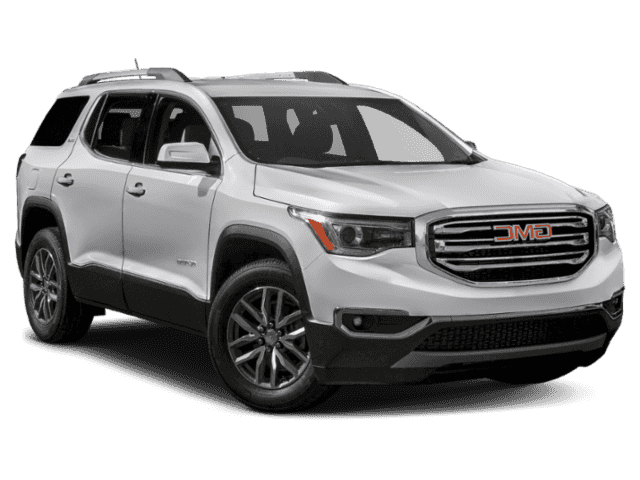 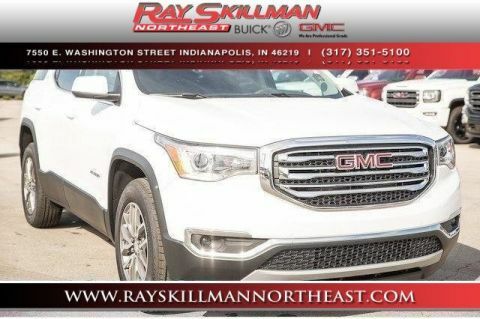 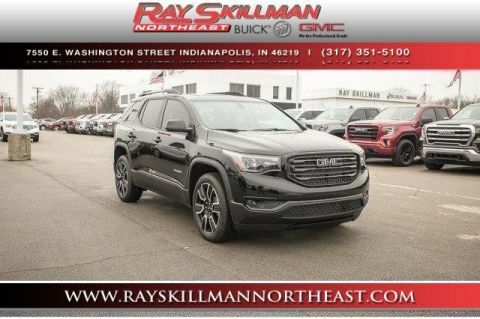 You will love driving this 2019GMCAcadia with Standard features include: Leather seats, Bluetooth, Remote power door locks, Power windows with 2 one-touch, Heated drivers seat, Automatic Transmission, 4-wheel ABS brakes, Air conditioning with dual zone climate control, Rear air conditioning - With separate controls, Cruise control, Audio controls on steering wheel, Universal remote transmitter, Traction control - ABS and driveline, 2.5 liter inline 4 cylinder DOHC engine, 8-way power adjustable drivers seat, Head airbags - Curtain 1st, 2nd and 3rd row, Heated passenger seat, Multi-function remote - Trunk/hatch/door/tailgate, remote engine start, Passenger Airbag, Power heated mirrors, Tilt and telescopic steering wheel, 4 Doors, Front-wheel drive, Fuel economy EPA highway (mpg): 26 and EPA city (mpg): 21, Front fog/driving lights, Compass, External temperature display, Tachometer, Clock - In-radio display, Knee airbags - Driver, Power Activated Trunk/Hatch - Power liftgate, Rear spoiler - Lip, Satellite communications - OnStar and GMC connected services capable, Trip computer.... With our guaranteed approval program, you can drive home today in the style you deserve! With Incentives like these-- this one is hard to pass up! 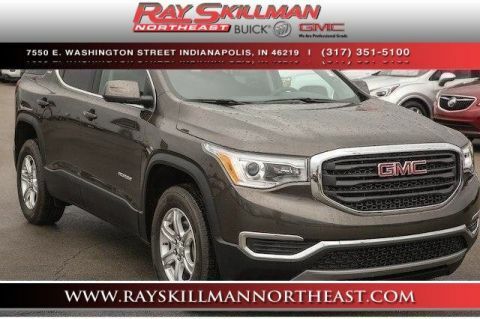 You will love driving this 2019GMCAcadia with Standard features include: Leather seats, Bluetooth, Remote power door locks, Power windows with 2 one-touch, Heated drivers seat, Automatic Transmission, 4-wheel ABS brakes, Air conditioning with dual zone climate control, Rear air conditioning - With separate controls, Cruise control, Audio controls on steering wheel, Universal remote transmitter, Traction control - ABS and driveline, 3.6 liter V6 DOHC engine, 8-way power adjustable drivers seat, Head airbags - Curtain 1st, 2nd and 3rd row, Heated passenger seat, Multi-function remote - Trunk/hatch/door/tailgate, remote engine start, Passenger Airbag, Power heated mirrors, Tilt and telescopic steering wheel, 4 Doors, Front-wheel drive, Fuel economy EPA highway (mpg): 25 and EPA city (mpg): 18, Front fog/driving lights, Compass, External temperature display, Tachometer, Clock - In-radio display, Knee airbags - Driver, Power Activated Trunk/Hatch - Power liftgate, Rear spoiler - Lip, Satellite communications - OnStar and GMC connected services capable, Trip computer.... With our guaranteed approval program, you can drive home today in the style you deserve!